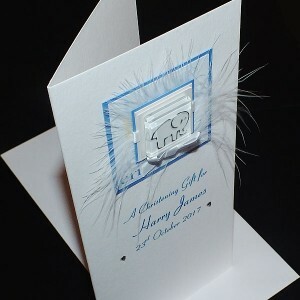 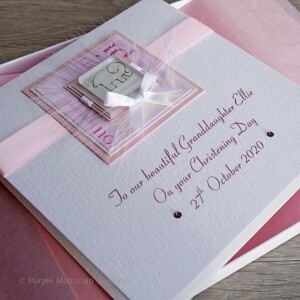 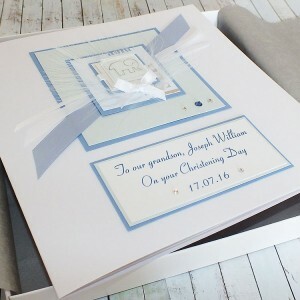 Handmade Christening cards, personalised with the name of the baby and the date are a beautiful keepsake for the parents and baby. 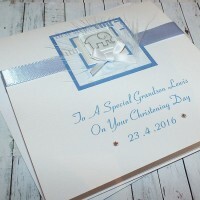 We can also make photo albums and keepsake boxes to match your card, for an extra special memento of baby's special day. 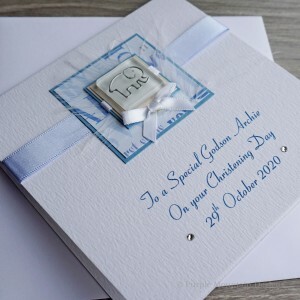 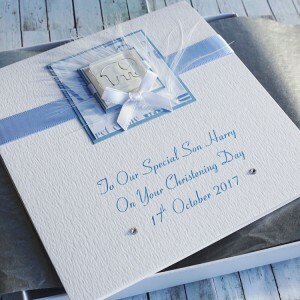 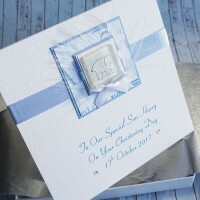 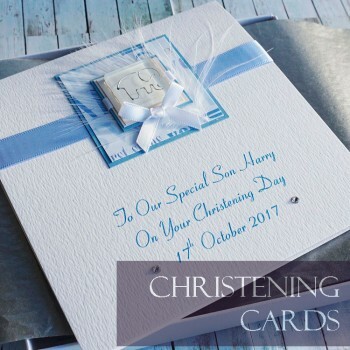 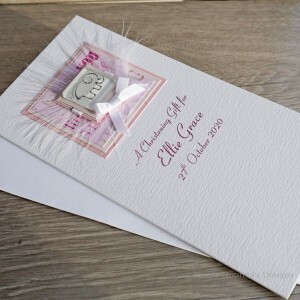 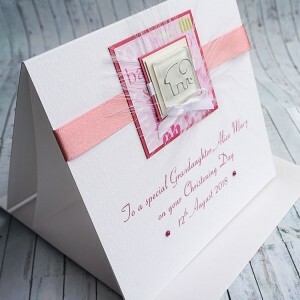 Choose from our hand crafted Christening cards supplied with a white envelope or our luxury Christening cards which are supplied with a matching box, lined with tissue paper and tied with a satin ribbon.